Harsco Corporation (NYSE:HSC) today reported third quarter 2016 results. On a U.S. GAAP (“GAAP”) basis, third quarter 2016 diluted loss per share from continuing operations was $0.41, which included a non-cash loss related to the Company selling its remaining interest in Brand Energy & Infrastructure Services as previously disclosed. Excluding this item, adjusted diluted earnings per share from continuing operations in the third quarter of 2016 were $0.14. These figures compare with GAAP diluted loss per share from continuing operations of $0.10 and adjusted diluted earnings per share from continuing operations of $0.18 in the third quarter of 2015. Operating income from continuing operations for the third quarter of 2016 was $29 million, which was within the guidance range of $27 million to $32 million previously provided by the Company. Total revenues were $368 million, with the decrease mainly attributable to the Company’s Metals & Minerals and Industrial segments, as expected. Foreign currency translation negatively impacted third quarter 2016 revenues by approximately $9 million. Operating income from continuing operations for the third quarter of 2016 was $29 million. This figure compares with GAAP operating income of $8 million and adjusted operating income of $35 million in the prior-year quarter. Operating earnings in Metals & Minerals improved in comparison with adjusted operating income in the same quarter last year, while earnings declined in the Industrial and Rail segments. As a result, operating margin decreased 40 basis points versus the adjusted operating margin in the prior-year period. Foreign currency translation positively affected operating income by approximately $2 million in this year’s quarter compared with the prior-year quarter. Also, the Company’s third quarter 2016 earnings included equity income of approximately $3.2 million ($0.03 per share after tax) from the Brand Energy joint venture. Revenues decreased 11 percent to $248 million, primarily as a result of exiting certain contracts and foreign exchange translation. Meanwhile, operating income totaled $24 million in comparison with a GAAP operating loss in the prior-year quarter of $3 million, which included Project Orion exited site costs, contract termination and resolution charges, and other adjustments. Compared with adjusted operating income in the 2015 quarter, earnings increased 13 percent as workforce reductions and other benefits realized under Project Orion offset the impact from site exits. As a result, the segment operating margin improved by 200 basis points to 9.7 percent versus an adjusted operating margin of 7.7 percent in last year’s third quarter. Revenues declined 30 percent to $63 million, principally due to lower demand for heat exchangers from U.S. energy customers as well as industrial grating. Operating income declined as reduced demand offset lower selling and administrative costs. As a result, the segment’s operating margin decreased to 10.0 percent compared with 15.3 percent in the comparable quarter last year. Revenues decreased 5 percent to $57 million as lower contract services offset an increase in after-market parts sales. These trends, along with sales mix, contributed to the decrease in operating income and operating income margin compared with the prior-year period. Free cash flow was $60 million in the third quarter of 2016, compared with $23 million in the prior-year period. This cash flow improvement resulted from increased net cash provided by operating activities, including working capital and additional contract advances, as well as lower capital expenditures. At the end of the third quarter, the Company maintained net debt of approximately $596 million, a decrease of more than $200 million from this year’s second quarter. Cash proceeds from the previously-announced sale of the Company’s remaining JV interest in Brand Energy and free cash flow were used to reduce leverage in the quarter. The Company’s net debt to adjusted EBITDA ratio was 2.2x, as compared with a maximum leverage covenant of 4.0x under the Company’s Credit Agreement, and its borrowing capacity and available cash totaled more than $340 million at the end of the quarter. Subsequent to the end of the third quarter, the Company closed on a new senior secured credit facility, which includes a $400 million five-year revolving credit facility and a $550 million seven-year term loan B facility. The proceeds from this financing will be used to replace the Company’s existing credit facility and redeem its existing 5.75% Senior Notes due 2018. The Company’s 2016 Outlook range is updated to reflect recent performance and current expectations for each business segment. 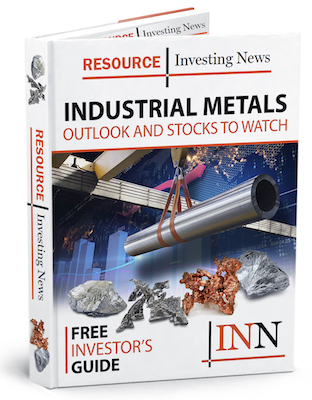 For Metals & Minerals, adjusted operating income is expected to improve compared with 2015 as internal improvements and site start-ups are forecasted to fully offset the impacts from site exits, weaker commodities prices and lower steel production for the year. In Industrial, operating results are projected to be significantly lower as compared with 2015 due to reduced demand from U.S. energy customers. Rail earnings are expected to meaningfully decrease as a result of weaker U.S. market demand, sales mix and administrative costs to facilitate international expansion as well as the $40 million loss provision recorded in the second quarter of 2016. Lastly, Corporate spending is now expected to decrease approximately 30 percent versus 2015 as a result of continued reduction of various overhead expenditures such as personnel, travel and professional fees. GAAP operating income for the full year is expected to range from $60 million to $69 million; compared with $89 million in 2015. Adjusted operating income for the full year is expected to range from $108 million to $117 million; compared with $105 million to $120 million previously and with $135 million in 2015. Free cash flow in the range of $75 million to $85 million; compared with a previous range of $65 million to $80 million and with $24 million in 2015. Net interest expense is forecasted to range from $50 million to $51 million. GAAP loss per share for the full year in the range of $0.76 to $0.85, which does not take into account any charges related to the recent refinancing; compared with GAAP earnings per share of $0.09 in 2015. Adjusted earnings per share for the full year in the range of $0.36 to $0.45; compared with $0.33 to $0.49 previously and $0.56 per share in 2015. Adjusted return on invested capital is expected to range from 5.8 percent to 6.3 percent; compared with 6.3 percent in 2015. Adjusted operating income of $20 million to $29 million; compared with $26 million in the prior-year quarter. Adjusted earnings per share of $0.06 to $0.11; compared with $0.11 in the prior-year quarter. The call can also be accessed by telephone by dialing (800) 611-4920, or (973) 200-3957 for international callers. Enter Conference ID number 87961546. Listeners are advised to dial in at least five minutes prior to the call. Replays will be available via the Harsco website and also by telephone through August 18, 2016 by dialing (800) 585-8367, (855) 859-2056 or (404) 537-3406. The nature of the Company’s business and the many countries in which it operates subject it to changing economic, competitive, regulatory and technological conditions, risks and uncertainties. In accordance with the “safe harbor” provisions of Section 27A of the Securities Act of 1933 and Section 21E of the Securities Exchange Act of 1934, the Company provides the following cautionary remarks regarding important factors that, among others, could cause future results to differ materially from the results contemplated by forward-looking statements, including the expectations and assumptions expressed or implied herein. Forward-looking statements contained herein could include, among other things, statements about management’s confidence in and strategies for performance; expectations for new and existing products, technologies and opportunities; and expectations regarding growth, sales, cash flows, and earnings. Forward-looking statements can be identified by the use of such terms as “may,” “could,” “expect,” “anticipate,” “intend,” “believe,” “likely,” “estimate,” “plan” or other comparable terms. Factors that could cause actual results to differ, perhaps materially, from those implied by forward-looking statements include, but are not limited to: (1) changes in the worldwide business environment in which the Company operates, including general economic conditions; (2) changes in currency exchange rates, interest rates, commodity and fuel costs and capital costs; (3) changes in the performance of equity and bond markets that could affect, among other things, the valuation of the assets in the Company’s pension plans and the accounting for pension assets, liabilities and expenses; (4) changes in governmental laws and regulations, including environmental, occupational health and safety, tax and import tariff standards; (5) market and competitive changes, including pricing pressures, market demand and acceptance for new products, services and technologies; (6) the Company’s inability or failure to protect its intellectual property rights from infringement in one or more of the many countries in which the Company operates; (7) failure to effectively prevent, detect or recover from breaches in the Company’s cybersecurity infrastructure; (8) unforeseen business disruptions in one or more of the many countries in which the Company operates due to political instability, civil disobedience, armed hostilities, public health issues or other calamities; (9) disruptions associated with labor disputes and increased operating costs associated with union organization; (10) the seasonal nature of the Company’s business; (11) the Company’s ability to successfully enter into new contracts and complete new acquisitions or strategic ventures in the time-frame contemplated, or at all; (12) the integration of the Company’s strategic acquisitions; (13) the amount and timing of repurchases of the Company’s common stock, if any; (14) the prolonged recovery in global financial and credit markets and economic conditions generally, which could result in the Company’s customers curtailing development projects, construction, production and capital expenditures, which, in turn, could reduce the demand for the Company’s products and services and, accordingly, the Company’s revenues, margins and profitability; (15) the outcome of any disputes with customers, contractors and subcontractors; (16) the financial condition of the Company’s customers, including the ability of customers (especially those that may be highly leveraged and those with inadequate liquidity) to maintain their credit availability; (17) the Company’s ability to successfully implement and receive the expected benefits of cost-reduction and restructuring initiatives, including the achievement of expected cost savings in the expected time frame; (18) the ability to successfully implement the Company’s strategic initiatives and portfolio optimization and the impact of such initiatives, such as the Harsco Metals & Minerals Segment’s Improvement Plan (“Project Orion”); (19) implementation of environmental remediation matters; (20) risk and uncertainty associated with intangible assets; (21) the impact of a transaction, if any, resulting from the Company’s determination to explore strategic options for the separation of the Harsco Metals & Minerals Segment; and (22) other risk factors listed from time to time in the Company’s SEC reports. A further discussion of these, along with other potential risk factors, can be found in Part I, Item 1A, “Risk Factors,” of the Company’s Annual Report on Form 10-K for the year ended December 31, 2015 and Part II, Item 1A, Risk Factors of the Company’s Quarterly Report on Form 10-Q for the period ended June 30, 2016. The Company cautions that these factors may not be exhaustive and that many of these factors are beyond the Company’s ability to control or predict. Accordingly, forward-looking statements should not be relied upon as a prediction of actual results. The Company undertakes no duty to update forward-looking statements except as may be required by law. (b) Harsco Rail Segment contract loss provision related the Company’s contracts with the federal railway system of Switzerland (nine months 2016 $40.1 pre-tax). (c) Harsco Metals & Minerals Segment charges primarily attributable to site exit and underperforming contract costs (nine months 2016 $5.1 million pre-tax charge; Q3 and nine months 2015 $1.4 million reversal pre-tax). (d) Costs associated with Harsco Metals & Minerals Segment separation recorded at Corporate (nine months 2016 $3.3 million pre-tax; Q3 and nine months 2015 $1.8 million pre-tax). (e) Expense of deferred financing costs associated with the Company’s repayment of approximately $85 million on its Term Loan Facility recorded at Corporate (Q3 and nine months 2016 $1.1 million pre-tax). (f) Harsco Metals & Minerals Segment charges related to a contract terminations (Q3 and nine months 2015 $13.7 million pre-tax). (g) Harsco Metals & Minerals Segment charges incurred in connection with the processing and disposal of salt cakes (Q3 and nine months 2015 $7.0 million pre-tax). The Company’s Bahrain operations are operated under a strategic venture for which its strategic venture partner has a 35% minority interest. Accordingly, the net impact of the charge to the Company’s Net income (loss) attributable to Harsco Corporation was $4.6 million. (h) Harsco Metals & Minerals Segment charges related to a settlement with a subcontractor (Q3 and nine months 2015 $4.2 million pre-tax). (i) Harsco Metals & Minerals Segment charges related to a multi-employer pension plan (Q3 and nine months 2015 $1.1 million pre-tax). (j) Loss resulting from the Harsco Infrastructure Transaction, which was consummated in the fourth quarter of 2013 (Q3 and nine months 2015 $1.0 million pre-tax). (k) Does not total due to rounding. (a) Harsco Metals & Minerals Segment charges related to a contract terminations (Full year 2015 $13.5 million pre-tax). (b) Costs associated with Harsco Metals & Minerals Segment separation costs recorded as Corporate (Full year 2015 $9.9 million pre-tax). (c) Harsco Metals & Minerals Segment charges incurred in connection with the processing and disposal of salt cakes (Full year 2015 $7.0 million pre-tax). The Company’s Bahrain operations are operated under a strategic venture for which its strategic venture partner has a 35% minority interest. Accordingly, the net impact of the charge to the Company’s Net income (loss) attributable to Harsco Corporation was $4.6 million. (d) Harsco Metals & Minerals Segment charges primarily attributable to site exit costs and non-cash long lived asset impairment charges associated with strategic actions from Project Orion’s focus on underperforming contracts (Full year 2015 $5.0 million pre-tax which includes $1.4 million of pre-tax gains). (e) Harsco Metals & Minerals Segment Project Orion restructuring charges (Full year 2015 $5.1 million pre-tax). (f) Harsco Metals & Minerals Segment charges related to a settlement with a subcontractor (Full year 2015 $4.2 million pre-tax). (g) Harsco Metals & Minerals Segment charges related to a multi-employer pension plan (Full year 2015 $1.1 million pre-tax). (h) Loss resulting from the Harsco Infrastructure Transaction, which was consummated in the fourth quarter of 2013 (Full year 2015 $1.0 million pre-tax). (i) Does not total due to rounding. (a) Costs associated with Harsco Metals & Minerals Segment separation costs recorded as Corporate (Q4 2015 $8.2 million pre-tax). (b) Harsco Metals & Minerals Segment charges primarily attributable to site exit costs and non-cash long lived asset impairment charges associated with strategic actions from Project Orion’s focus on underperforming contracts (Q4 2015 $6.4 million pre-tax). (c) Harsco Metals & Minerals Segment Project Orion restructuring charges (Q4 2015 5.1 million pre-tax). (a) No unusual items were excluded during the third quarter ended September 30, 2016. (a) Harsco Metals & Minerals Segment charges primarily attributable to site exit costs and non-cash long lived asset impairment charges associated with strategic actions from Project Orion’s focus on underperforming contracts (Full year 2015 $5.0 million pre-tax which includes $1.4 million of pre-tax gains). (a) Maintenance capital expenditures are necessary to sustain the Company’s current revenue streams and include contract renewal. (b) Growth capital expenditures, for which management has discretion as to amount, timing and geographic placement, expand the Company’s revenue base and create additional future cash flow. (c) Capital expenditures for strategic ventures represent the partner’s share of capital expenditures in certain ventures consolidated in the Company’s financial statements. (d) Asset sales are a normal part of the business model, primarily for the Harsco Metals & Minerals Segment. The Company’s management believes that Free cash flow, which is a non-U.S. GAAP financial measure, is meaningful to investors because management reviews cash flows generated from (used in) operations less capital expenditures net of asset sales proceeds. It is important to note that free cash flow does not represent the total residual cash flow available for discretionary expenditures since other non-discretionary expenditures, such as mandatory debt service requirements, are not deducted from the measure. This measure should be considered in addition to, rather than as a substitute for, other information provided in accordance with U.S. GAAP. The Company’s management believes that Free cash flow, which is a non-U.S. GAAP financial measure, is meaningful to investors because management reviews cash flows generated from operations less capital expenditures net of asset sales proceeds. It is important to note that free cash flow does not represent the total residual cash flow available for discretionary expenditures since other non-discretionary expenditures, such as mandatory debt service requirements, are not deducted from the measure. This measure should be considered in addition to, rather than as a substitute for, other information provided in accordance with U.S. GAAP. (a) Capital expenditures encompass two primary elements: maintenance capital expenditures, which are necessary to sustain the Company’s current revenue streams and include contract renewals; and growth capital expenditures, for which management has discretion as to amount, timing and geographic placement, and which expand the Company’s revenue base and create additional future cash flow. (b) Harsco Metals & Minerals Segment charges primarily attributable to site exit costs and non-cash long lived asset impairment charges associated with strategic actions from Project Orion’s focus on underperforming contracts (Twelve months ended September 30, 2015 $37.8 million pre-tax which includes $1.4 million of pre-tax gains). (c) The Company’s effective tax rate approximated 37% on an adjusted basis for both periods for interest expense. (a) Return on invested capital excluding unusual items is net income from continuing operations excluding unusual items, and after-tax interest expense, divided by average capital for the year. The Company uses a trailing twelve month average for computing average capital. (b) Harsco Metals & Minerals Segment charges primarily attributable to site exit costs and non-cash long lived asset impairment charges associated with strategic actions from Project Orion’s focus on underperforming contracts (Full year 2015 $5.0 million pre-tax which includes $1.4 million of pre-tax gains). (c) The Company’s effective tax rate approximated 37% on an adjusted basis for interest expense.